I have used several according to instructions, meaning for light dirt or dust only using microfiber cloths as directed. I find it better than detail spray, even for light dust. Meguiar’s works as well as any I have tried. I'm slowing transitioning to doing waterless more often. Our water is hard as hell and I often feel I'm doing more harm than good. It's impossible to get all of the spots off without wiping and drying multiple times. I don't drive my car in the rain and we don't have snow. It's almost exclusively dust. I'm now a believer the waterless products are better for my car. I've used ONR and Wolfgang Uber. Both have good cleaning power. My car has PPF and ceramic coating. I use Optimum No Rinse. Comes out perfect in less than 30 minutes. 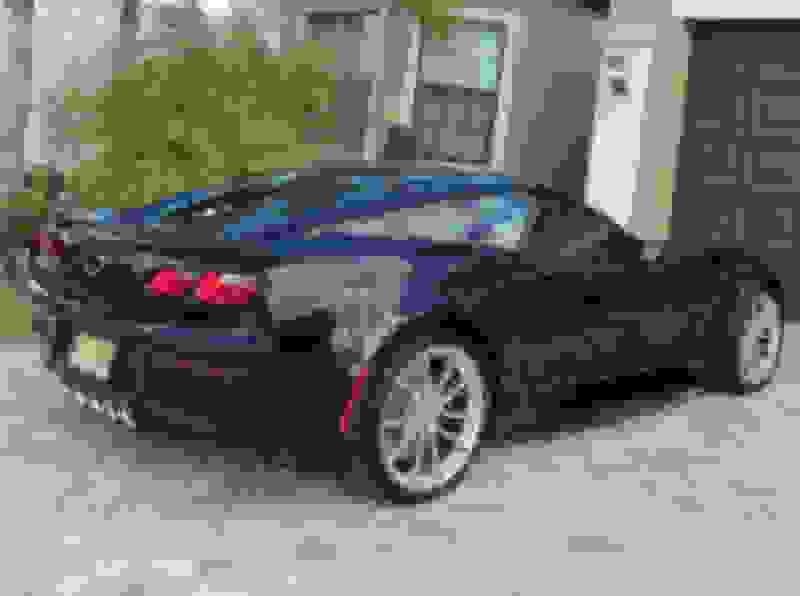 I have detailed several of the Corvette executives C7'S many times after they drove them either from Bowling Green or Detroit to PA. I used Waterless Wash on them every time, some of them had a thousand bugs on the front clip. For those I would use more product & several WW towels. They all turned out great and always got complements from the guys. Remember at the larger GM dealerships you can pick up Adam's products, because Adam's is the official product of the Corvette. The waterless wash description says "Designed to clean the surface of a car that is slightly dirty without requiring a hose." What do you do when the car is more than slightly dirty? What do you do when the car is more than slightly dirty? You wash the car with soap. Question was for the Adam's guy who almost never uses water. I was curious to hear his answer. Perhaps none of the cars he washes are never more than slightly dirty. Last edited by CrystalRedTed; 03-19-2019 at 12:15 AM. Remember at the larger GM dealerships you can pick up Adam's products, because Adam's is the official product of the Corvette. I did not know this. I learned something! I'm done for the day! I have used the waterless on the inside of my Z06/07 wheels.. really hard to reach since they are so darn deep, and usually helps. I have also used it for undercarriage... but never painted body surfaces. 3 bucket hand wash, and Griot's Speed shine in between. The only time that I don't use WW is when I get caught in the rain, have mud or Winter junk on the car. I forgot to mention that the WW MF towels are key in this process. I agree with you 100% that the water quality makes a difference on how the car looks after it is washed. We too have very hard water and even if you do the best job with two buckets, etc....the car just does not seem like it "pops". Here is what I do. I've found that the Wolfgang Uber is by far my favorite product and I use it strictly as a homemade detail spray. I use a plastic pump up two gallon garden sprayer to spray my homemade brew of Uber Rinseless and distilled water I buy at Walmart. The cars are no issue with a 32 oz bottle, but we have a bunch of large trucks and SUV's at work...I'd get carpal tunnel syndrome trying to spritz down an Excursion or long bed pickup with a camper shell using a 32 oz bottle sprayer. The pump up garden sprayer solves this issue. Even if I have to wash the car with soap and water due to heavy dirt, before I dry the car I rinse it off with my Uber Rinseless solution from my garden sprayer and then blow dry and final towel touch up. I found the key to avoiding swirls, etc is to make sure you use a very deep pile micro fiber towel, make sure to pre-dampen it with your detail spray solution before you start wiping the car down and turn over often so the dirt goes into the piles. By flipping the towel over often to new "squares" and using multiple towels, there is very little chance for swirls and scratches. But as said, if your vehicle is muddy, covered in road salts, super dirty, etc...then the soap and water is pretty much the only thing that is going to be efficient. I've found that the Wolfgang Uber is by far my favorite product and I use it strictly as a homemade detail spray. My waterless wash dilution ratio of Uber is really the detail spray dilution ratio. I like the extra lubricity. 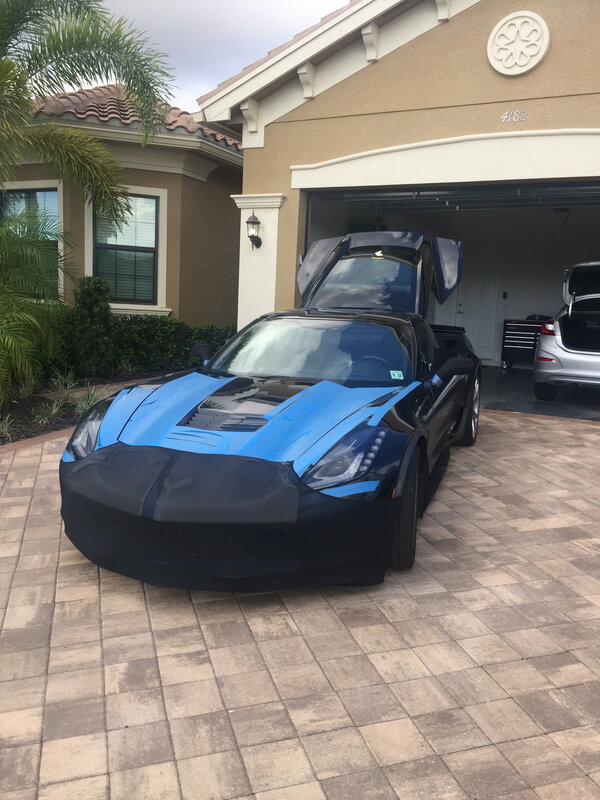 I am also a Wolfgang user, I buy the gallons when on sale, after that I use Zaino Z8, 2 of my favorite products for my Corvette, I also use some Adams products. I am adding the wash mitt that I use for my rinseless wash, It probably isn't necessary but I do a 2 bucket method, I like the mitt as it holds a lot more water. I was using the Meguires waterless carwash, but yesterday I picked up some Mothers waterless carwash. My car was a bit dusty so I used the california duster and then the mothers product, car came out great. Mothers waterless carwash is what I will be using from now on. Thanks for the response. Video was good too - very clear. I've had my 2017 GS for almost two years now (May 2017), and have never washed the car with soap and water. In addition, I've driven the car from NJ to FL and back twice. I use "waterless wash" to remove the dirt and grime after each drive and in between (As a note, I use the Novistretch bra and blue painter's tape for the nose on those long drives). I applied Gyeon Can Coat ceramic last year and use Surf City Garage Speed Shield (Ceramic spray) about once a month while using detail spray for daily touch ups. Following is a picture of the car after the long drive and a clean up.